How can an oldie be forgotten when it’s not forgotten? I can’t recall if I’ve ever specifically defined what I consider to be “forgotten.” No need to over-analyze. The best description is an old tune that you just don’t hear all that often. An exception is a milestone anniversary. In November 1968, millions of double LPs were shipped to record stores worldwide ahead of that tumultuous year’s most anticipated music event: the November 22nd release of The BEATLES (soon to be better known as ‘The White Album’). 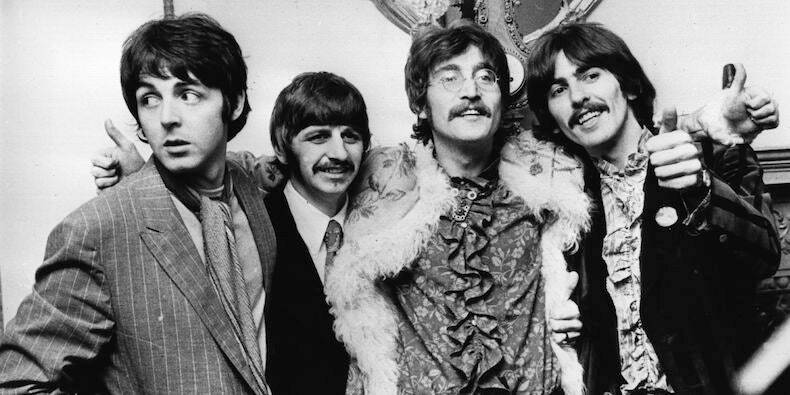 With their ninth studio album, The Beatles took the world on a whole new trip, side one blasting off with the exhilarating rush of a screaming jet escorting Paul McCartney’s punchy, exuberant vocals on “Back In The U.S.S.R.” For 50 years, ‘The White Album’ has invited its listeners to venture forth and explore the breadth and ambition of its music, delighting and inspiring each new generation in turn. The album version of “Good Night” featured a string section that all but overwhelmed Ringo Starr’s nasal vocals. That’s why the various stripped-down versions of the song on several of these discs are a revelation. It’s a quiet, sweet song now that evokes eternal comfort more than just the knock-out sleeping pill we’d always known it to be. RELATED READING: Untold stories about this album.